Apart from the Long Call Butterfly Vs Box Spread strategies, there are more than 25 comparisons of each of these strategies with other option strategies. With all these comparisons, you should be able to filter the ones that work the best for you. Investor Obligation Create Bull Spread when High Market Expectations, Create Bear Spread when Low Market Expectations. The trader has the obligation to keep the positions open till they reach their respective expirations. Investor Expectation No Movement in Price of the Underlying Asset Short-term demand shifts of the options in the market. Disadvantages Limited Profit, High Premium Limited Profit, High Margin Maintenance, Positions cannot be closed before expiry. 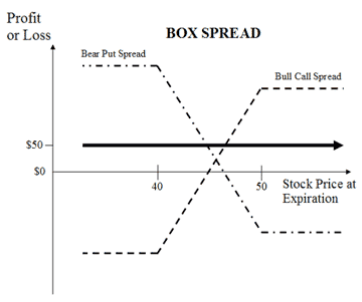 Thus, with this, we wrap up our comparison on Long Call Butterfly Vs Box Spread option strategies. At the same time, if you are in a neutral market situation and are looking for consistent but limited profits for your share market trades, then you can opt to go for the Box spread strategy. 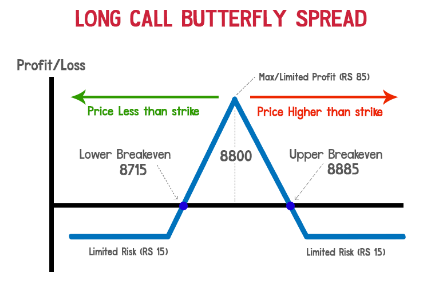 At the same time, if you are in a neutral market situation and want to take a limited risk, then Long Call Butterfly is one of the options trading strategies you can look out for. The profit you get using this strategy is also limited in scope.